It's a scientific fact that you react quicker to seeing a bite than feeling a bite. With a ClamTM Dave Genz Spring Bobber Combo, you'll see more bites and pull more slaps out of the ice on every trip. 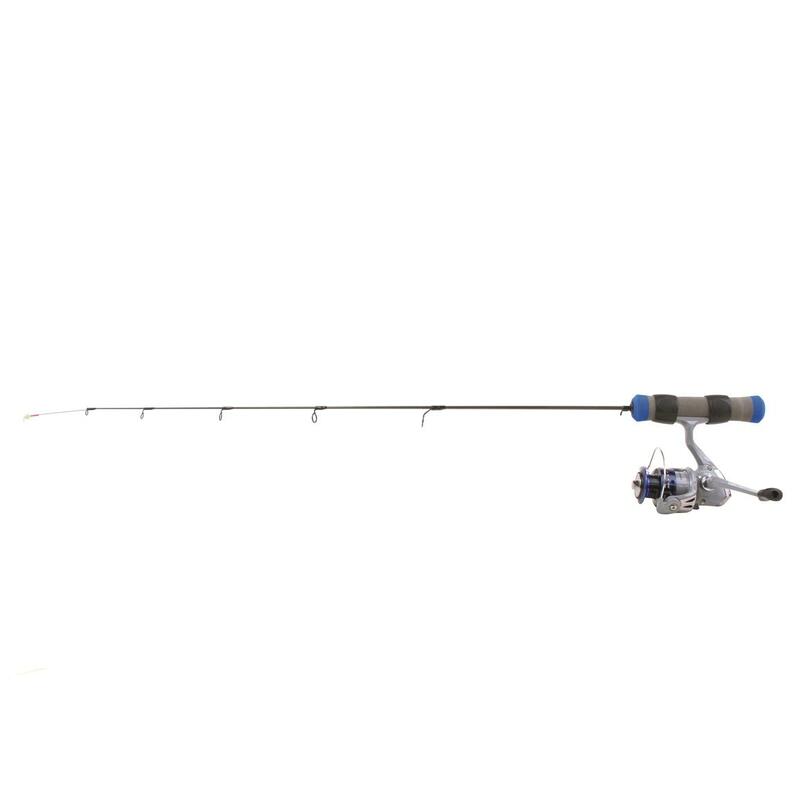 Super-sensitive composite rod features a durable, sensitive Nitinol spring bobber with no memory, so even the most subtle bites can be seen and felt. Plus, the spring bobber allows for more natural presentations and enhanced jog manipulation, which greatly increases your chances for success. ClamTM Dave Genz Spring Bobber Combos include a 2+1 ball bearing spinning reel with infinite anti-reverse for instant hooksets, front drag adjustment and one-touch folding handle.